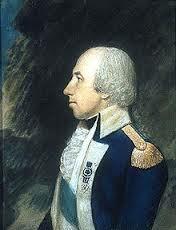 Today in Masonic History Rufus Putnam passed away in 1824. Rufus Putnam was an American soldier. Putnam was born in Rutland, Massachusetts on Aprilk 9th, 1738. Putnam's father passed away when he was only 6 or 7 years old. For a brief time he would live with his paternal grandfather until his mother remarried. In 1757, Putnam joined a Connecticut regiment to fight in the French and Indian War. During the war Putnam would see combat in the Great Lakes Region and near Lake Champlain. Putnam left the regiment in 1760 and moved to New Braintree, Massachusetts where he would work as a millwright from 1761 to 1768. During Putnam's time as a millwright he studied surveying. In 1769, Putnam became a farmer and surveyor. In 1773, Putnam traveled with his cousin to the area near, what is now, Pensacola, Florida. There they surveyed the lands in the area and along the Mississippi which had been promised to veterans of the French Indian War by the British crown. In 1775, after the battle of Lexington and on the same day, Putnam enlisted in one of Massachusetts first Revolutionary regiments. He would be later commissioned as a lieutenant colonel. Drawing from his time as a millwright, Putnam began constructing fortifications. His fortifications would help secure, West Point, Providence and Long Island. General George Washington appointed Putnam as the Chief of Engineers of the Works of New York. He would later be promoted to engineer and the rank of colonel. He would resign that position when his proposal to establish a national core of engineers was rejected by the Continental Congress. Putnam reenlisted with the Northern Army and commanded two regiments at the battle of Saratoga. He would continue to work on fortifications, particularly at West Point. In 1780, Putnam returned to Rutland, Massachusetts where he would buy and settle on a farm that was confiscated from loyalists during the Revolutionary War. Putnam was a strong advocate of land grants for veterans. He was one of the authors of the Newbergh Petition that requested Congress create land disbursements. He would also create the Ohio Company of Associates whose purpose was the purchase of western lands specifically the Northwest Territory. The company would buy 1,000,000 acres of land north of the Ohio River. In 1788, Putnam would lead a group of veterans to the land purchased by his Ohio Company. The area would eventually become Ohio. In 1792 and 1793, Putnam would serve as a brigadier general against native American tribes who had originally occupied the land. The tribes were eventually defeated. In 1796, Putnam was appointed by President Washington to be the first Surveyor General of the United States. He would hold the position until 1803. Putnam would serve in a variety of positions during the forming of Ohio as a state. He was a delegate to the Ohio Constitutional Convention, a judge and for two decades was a trustee of Ohio University. Putnam died on May 4th, 1824. Putnam was raised a mason in 1779 as a member of American Union Lodge, an Army lodge, in New York. In 1790 at Campus Martius, the second fortification built in Marietta, Putnam was one of 10 masons who petitioned to have American Union Lodge reconstituted. On January 7, 1808, at a convention to establish the Grand Lodge of Ohio, Putnam was elected as Right Worshipful Grand Master. This made Putnam the first Grand Master of the Grand Lodge of Ohio.